Slow at first, the tempo rapidly rises as the dancer matches every beat and every pause of the tabla’s rhythm. The conversation between the ghungroo and the ensemble of the tabla, harmonium and sitar explores a gamut of emotions which has the audience erupt into a chorus of “wah”. Farah Yasmeen Shaikh has her Karachi audiences transfixed as she illuminates the stage with a rendition of Mughal Emperor Jahangir and Empress Noor Jehan’s tale of love. 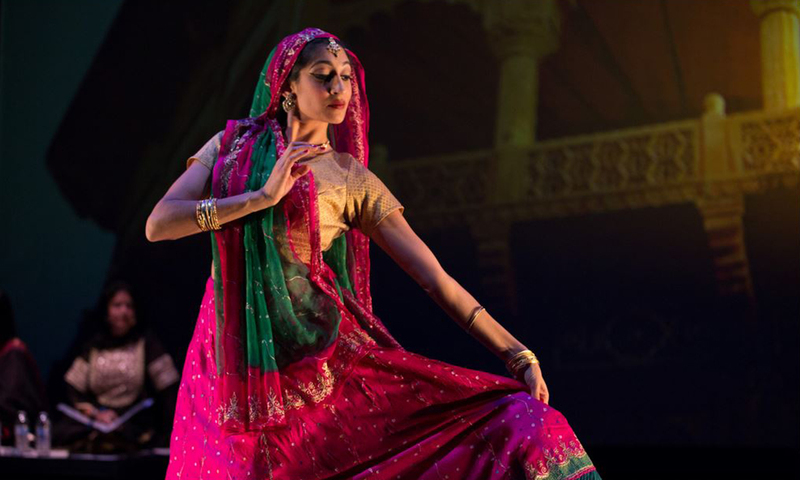 Shaikh is the lone dancer on stage, yet she morphs from one character into the next — playing a range of 21 characters with swift changes in body language, movement and expression. 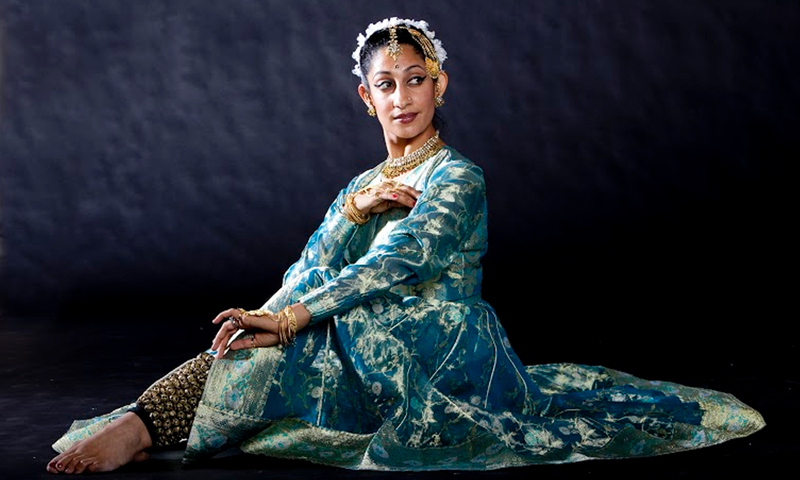 This is an original choreography based on Indu Sundaresan’s novel, The Twentieth Wife. Shaikh trained under the tutelage of Kathak icon, the late Pandit Chitresh Das, while studying at the San Francisco State University. She then went on to become a lead dancer at the Chitresh Das Dance Company. 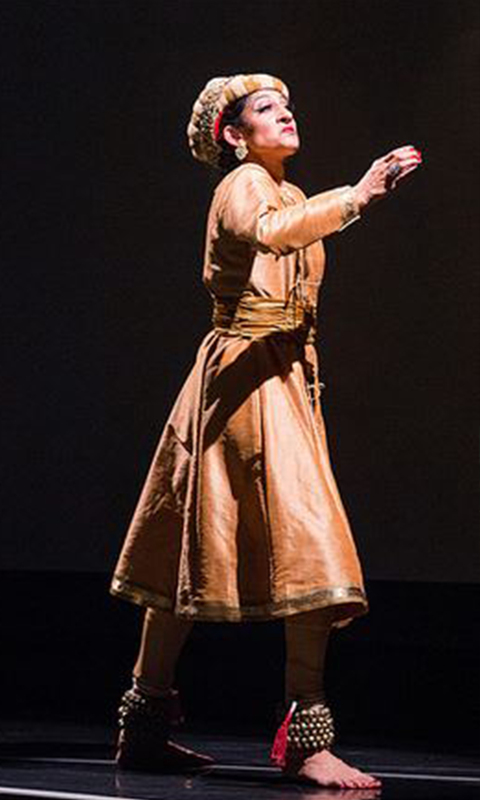 Based in San Francisco in the United States, Shaikh is now an internationally touring soloist and teacher of the Kathak dance form. Zehra Nawab. Is classical dance still perceived as an interconnection between culture and religion? Farah Yasmeen Shaikh. Yes, but it is subjective. There can be an interconnection for some, while others might want to separate it from religion altogether. I think this interconnection is more possible in Kathak than any other dance form due to its historical significance. Thousands of years back, people shared their stories of ethics through the oral tradition. Kathak was used as a form of entertainment in the northern regions. It went beyond storytelling. It did not have to be about the story of Ram and Sita, it could be about love or any other element. So you can still have those connections. Kathak derives most if its traditions from Hindu stories, but people perform a contemporary form of the dance nowadays. Moreover, social and political elements such as domestic violence or women’s issues are also incorporated in the storytelling. It is not as simple as just telling the story of one person. So, for example, a dominant woman such as Noor Jehan has many other facets to her life. Other than showing her power, we also show her loss. I play the scene of her miscarriage and a lot of people commented on how gutsy it is to show a Muslim woman that way. People can relate to the pain of a profound loss to which they are helpless. I even performed the death scene of Akbar where Salim is by Noor Jehan’s side. All of that is very spiritual; it connects you to your own stories, some of which are literal and some abstract. Nawab. What led to the rift between you and your guruji? 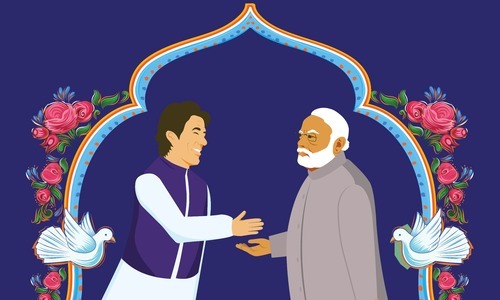 What were the last few years of your relationship with your ustad like? Shaikh. When somebody passes away, you have to bury the hatchet. It is an honour to bring his name to Pakistan. He was a traditionalist and also an innovator. He was an artist who encompassed all the elements. I am so touched by how many people of the older generation are responsive to my performances, because it is a style check for them. We usually do not see art being done in the same way. At the same time, this is not a criticism as everyone has their own style. 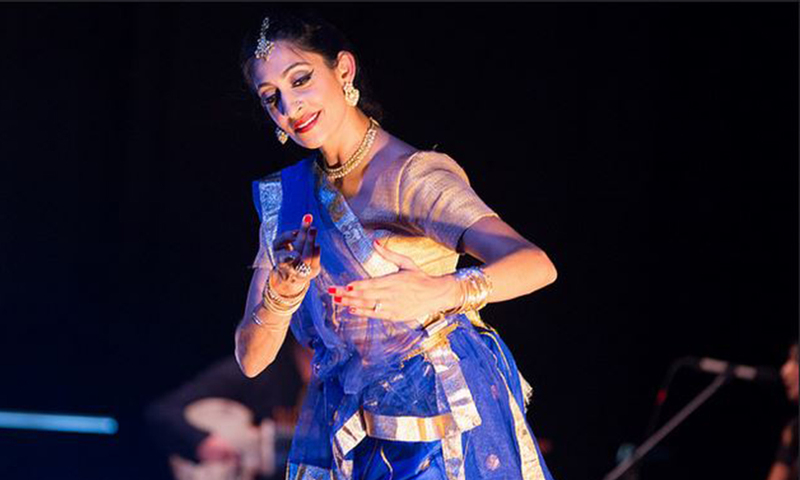 The audience tends to appreciate Kathak when performed in a relatively pure but exciting way. Nawab. How did you stumble across your first dance class? And how did it work out for you being an 18-year-old girl? Shaikh. I started at the age of five. I was born and raised in California, where we did not have a large Pakistani and Indian community. For us, it was more of a feeling of assimilation. My sister and I are very close in age, and our parents enrolled us in dance classes. I was a baton twirler. It was an amazing organisation and we are still very close to the director, who was also a yoga practitioner. When I went away to college, I gained 35 pounds because I did not exercise and was eating horribly. I just felt awful. I picked up the schedule in my second semester and saw that Indian dance was being offered. I called it “kah-thaak” in my American accent, and probably even butchered my guruji's name. My parents encouraged me to take it up so I enrolled in the class. The classes were very challenging, especially the concept of taal and rhythm. Learning movement was never hard for me. My coordination was fine and I had a presence in my body — but it was much more than that. You needed to have an awareness of rhythmic structure and expression. Western dance requires one expression, which is showmanship. Kathak, however, requires layers of emotions and body language to create a mood. I also learnt so much about Indian history. A very profound moment occurred a few months into my taking classes. I went to my first performance of guruji and saw him perform Dropati Bastahara, where this man gambles his wife. He is a bit naïve and is being duped. He puts everything on stake and the last thing he puts on stake is his wife, Dropati, thinking there is no way he can have such bad luck. Dropati is taken in front of everybody and they are humiliating her by pulling her sari off. I had no context of the story. Even the introduction was not enough for me. I was literally watching this feeling unfold around me. I felt like there were four or five people on stage when there was only one man. This woman is being disrobed, but her faith is in Lord Krishna. She is thinking, “the divine will protect me.” It is about having that higher faith. It was seeing him surrender at this point when he was maybe 60-years-old and being completely vulnerable — and yet finding that inner strength. It moved me and I can put that in the top five most powerful moments of my life. I remember calling up my parents and telling them that I was hooked. And I am still hooked. It is moments like these that continue to inspire me. Nawab. When was your first performance? Shaikh. I started performing with guruji's company called Chitresh Das Dance Company. My first performance was in November 1997. It was after about a year and a half into studying. Even at the age of 18, if I had danced once or twice a week, I would not have gotten very far. But it hooked me in so much that it led me to not switch my major. I did my major in women’s studies and was able to give it enough time. I was around guruji seven days a week — not always dancing, but around him nonetheless. So it created that bond. The goal of the dance is to be a soloist. However, to achieve the ability of being one, you must be well versed in all four elements: tayar, lekari, khubsurti and nazakat. Ultimately, it is the guru’s discretion to see when you are ready. For me, it happened in October 2007. In the first performance, the guruji is on the platform with the musicians, which is both a support and a challenge. After this, I started performing solo regularly. I was still working with this company when I had a baby in 2011. But I took a couple of years off, partly because my relationship with guruji was a little strained. Otherwise, I would have loved to go back to dancing the next day. When I returned to dancing in 2013, I just went full force. Having a child gave me a lot of clarity. Some people think that after a child, your life shifts to being about them. For me, however, having a child was really about being the best of me — for my child. I tend to get emotional about this, because my daughter has empowered me on so many levels. She is there with me while I tour. Something I believe in strongly is that this dance form has brought me a physical and mental balance, along with a sense of history, culture and music. I cannot stress enough on the benefits; why would I not want that for my daughter? Nawab. Comparing the two experiences, where you first performed on stage in 1997 and then walked alone on stage in 2007 — how was the excitement? Was there any difference? Shaikh. I remember being really nervous the first time I stepped on stage. It is funny how the nerves have dissipated significantly. In 1997, there was newness in my spirit. In 2007, it was like the veil had been lifted; I was vulnerable. There was no hiding what I was going to do there; it was me all alone. We get so inundated with pop culture, and therefore to see something that takes a great deal of commitment and discipline to achieve is an inspiration. The other day, a group of mothers and daughters came up to us and said, “this is the kind of multitasking we would love our kids to do” instead of being on their phones [all day]. Activities such as playing the harmonium, singing or dancing — you know, all of that! So that was a wonderful sentiment. Nawab: Is it difficult to practice and pursue a dance form in the United States, where it is viewed as something exotic? Shaikh. Yes and no. Guruji laid the foundation for diversity, yet there was a struggle. San Francisco is known for being a cultural melting pot. When I was with the dance company, the audience was very diverse. It was not exclusively South Asian, we would see a 50-50 [mix]. There’s more diversity now. If you were to focus on the press attention, contemporary dance and ballet still dominate in terms of funding and grant opportunities. 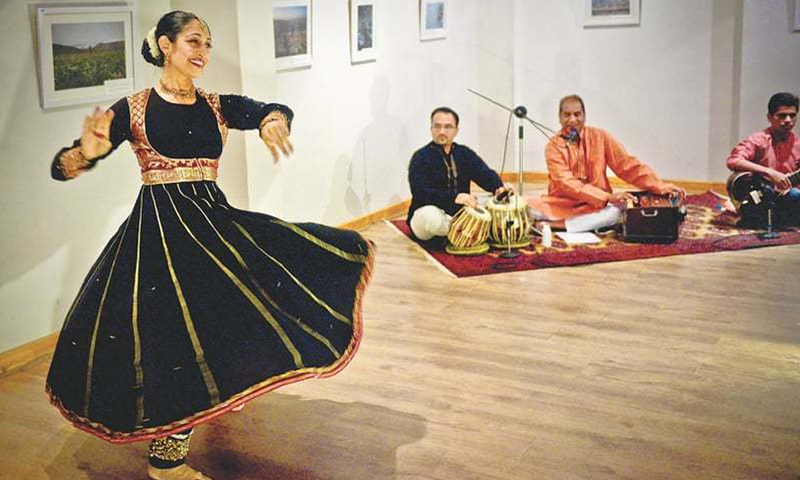 Pakistanis are known to be philanthropic in the United States, but they tend to give to religious or social causes — the arts are rarely mentioned. I have been lucky in terms of the support I got when I did The Twentieth Wife project, which is an irony because I feel it is [more] difficult to stand out in India. Their attitude is lackadaisical with relation to arts and dance because a lot of people are doing it now. Without being judgmental, I would say a lot of work is not appreciated. You have a dense population and you are competing with Bollywood. In the United States, you can easily get out of it because the artist looks at it for art’s sake. They group all 'ethnic' dances together. So it is actually not that challenging. There is no shortage of work. When I left guruji's institution, I lost all my students. However, I have been able to build up a student base since his passing. I teach privately. I converted one of my rooms into a small dance studio. I also partner with organisations for group classes and the response is overwhelming. I was guruji's only Pakistani Muslim student that took it on at this level, the rest were Indian Hindus. Now, a good number of senior instructors are white Americans and Canadians. We call it a rainbow coalition. Nawab. Did you come to Pakistan with the intention of performing? How often do you visit Pakistan? Shaikh. As a child, I used to visit Pakistan every two to three years. I remember going to India once as a child. As an adult, most of my dancing visits were to India. I visited Pakistan in December 2006. I had planned to perform at the National Academy of Performing Arts, but the plan got bogged down because of a conflict. My guruji was very protective of the idea of me dancing in Pakistan. He was not sure of the kind of response I would get here; it was both love and a little bit of control. So once I separated from him, I explored that avenue. When I did The Twentieth Wife, I started to see the response I was getting from the South Asian community. My hope is to tour the United Arab Emirates, Pakistan and India. It is very challenging to manage logistics and everything else when you are touring. Knowing the magnitude of the project, I just wanted to meet people in person rather than pitch [the idea] in an email or phone call. When I was working on the repertoire before coming here, I knew I had to be very open since I was going to be working with musicians I had not previously met. I had to be aware of the content, what is acceptable and what is not. So I made a decision, for the most part, to not bring many of the Hindu elements in it. Kathak usually opens with an invocation to a deity, but I took that out. You do not feel the tension in the air. One gentleman, in particular, was very moved. He said, "women like these" will make peace through art. I totally agree with that. Some people were basically parading me — not me, but the idea of a dancer. And then, of course, there is a bit of fear that I am putting myself out there in a way that could be making me a target. I would be lying if I say that every time I walked out of The Second Floor, I was not holding my daughter’s hand. At every show, the first people to come up to me are usually the ones that belong to the older generation. Even at the Pakistan American Cultural Center, there was a bearded man who [would exclaim] “wah, wah” during the expressive pieces and songs, some of which were suggestive or sensual. Nawab. Would you consider performing at a relatively unsafe space? Shaikh. I am open to that. I hope we transcend people’s perceptions. I do not fear where I put myself. I want to be aware of things, unless it is a tense situation. Not everybody is going to be an arts lover, but that is the hope. Nawab. Tell me about The Twentieth Wife. How did you choose to perform such a piece? Shaikh. All my solo work up until that point followed the structure that you witnessed, but I wanted something that felt a little bit more like me. I felt I was relying too much on guruji's content. So my first thought was the Partition. I thought it was too predictable for a Pakistani Muslim Kathak dancer to do something on the Partition — but now, ironically, it is my next project. I felt like it was not the way to go for my first endeavour, so I started thinking of what moved me. I have always loved noble history. It drew me into Kathak because of its connection to Islamic culture, that was not only about religion. I was reminded of a book that I read in Pakistan in 2006-2007 called The Twentieth Wife. I had finished that book and was starting another novel by the same author, The Feast of Roses, which is also about Noor Jehan. I thought it would be amazing to create a piece on that novel. So I sent an email to the author. I thought I was contacting the agent; surprisingly, within two days, I got a response from the author herself. There were silent screams because I had not told anybody about it. She was very receptive to the idea. She lives in Seattle, but is originally from India. It turned out that she was going to be coming to the Bay Area within a couple of months for a book launch. She wanted to talk more about this, so she asked me to meet her. I went to Seattle where we met and she agreed to be on-board. We worked very closely. I chose the themes that really stood out and which I felt would make a good dance drama without getting into the superfluous details. We created the script entirely from the text. I did the first run and she rewrote certain sections and added new material to make it flow better. She was also the narrator for my premiere, which was amazing. She was not able to tour because of the time commitment. When we first started talking, it was very cathartic. The experience of working together brought value to the show. It was simply a dream that I decided to act on. I will be here in a year's time, hopefully, and I will be touring Noor Jehan and Jahangir’s tomb. Nawab. Did you find similar support in the family that you married into? Shaikh. My husband’s family is very supportive of me dancing. Two years after my marriage, my father-in-law told me that he will be at every single performance unless he absolutely cannot. Back in 2002, he had a triple bypass and I was visiting him in the hospital. A week later, we had our home season. He had barely been home and I was doing the show. Somebody came to me and said there is someone here to see you. I went down and saw my father-in-law. He was in a wheelchair and said, “I told you I would not miss anything”. That’s how they are. They would have my guruji over for Eid and my mother-in-law would cook paya. My father-in-law has passed now and my mother-in-law has Alzheimer’s, so she does not come to my shows anymore. My immediate and extended family does so much for me. I call my daughter, Aziza, my tour manager sahiba. Subscribe to the Herald in print. Dawn is doing a lot to loosen up the Pakistani mindset regarding dance especially public performances by Pakistani origin women. The fact that religion and culture do have a profound connection should not deter anyone from performing an art form. In a society where words are misinterpreted where would you find people who will understand the signs of body. please don't try people have lost the sense of their culture. She is just a brilliant dancer . Poetry in motion. If this is a dance performance as an art then so be it. Let the people be free! Great to see Farah reach back to her roots. Seen The Twentieth Wife in the bay area and her performance is just fantastic. A lot of hard work and years of toil - a must see. WOW! Not easy for a lady from Pakistan but she was fortunate she was in America, however it is great on her part to perform in Pakistan, this is about a culture which is as old as the hills and Kathak is a great dance form, it is riveting. Kathak in Pakistan? What has the world come to?